UCF’s FCI members bring expertise in multiple fields to the study of climate change. 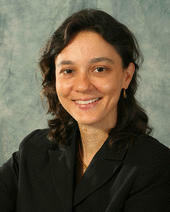 Dr. Denise E. DeLorme is a Professor of Advertising in the Nicholson School of Communication. Her research interests include advertising effects, health communication, pharmaceutical advertising, and environmental communication. She has presented her work at numerous national and international conferences and has published in many journals. 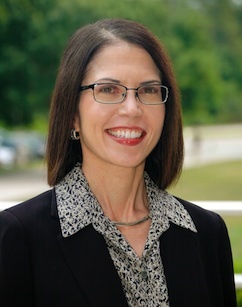 Dr. DeLorme has received research grants and funding awards as PI or co-PI from the American Academy of Advertising, Promotional Products Association of Florida, Florida Fish and Wildlife Conservation Commission Advisory Council on Environmental Education, Florida Sea Grant, and the National Oceanic and Atmospheric Administration. In 2012 she received a UCF Research Incentive Award. She is an active member of the American Academy of Advertising, having served as Secretary in 2009 as well as on various committees. Dr. Scott C. Hagen, P.E., D.CE, D.WRE, M.ASCE, is a Professor in the Department of Department of Civil, Environmental, and Construction Engineering. Dr. Hagen established and directs the internationally recognized Coastal Hydroscience Analysis, Modeling & Predictive Simulations laboratory. The primary focus is on massively parallel, high performance computational modeling of ocean, coastal, and inland shallow water flows. His recent efforts expand into transport and biological modeling, particularly with respect to the coastal dynamics of sea level rise, and are aiding coastal planners around Florida. Dr. Hagen is a member of the Board of Governors for the ASCE/Coasts, Oceans, Ports and Rivers Institute, and has served as Guest Editor on a focus issue on sea level rise implications to coastal engineering for the ASCE Journal of Waterway, Port, Coastal and Ocean Engineering. In 2012 he chaired the 10th International Conference on Hydroscience & Engineering where he received the Outstanding Achievement Award for Advancement of the State-of-the-Art. Dr. Peter Jacques is Associate Professor of Political Science. His research involves climate risk perceptions, social and counter-movements, science and society interface, and integrated social-marine systems, or “social oceanography.” He has published four books, including an analysis of growing opposition to environmental protections, in Environmental Skepticism: Ecology, Power, and Public Life (Ashgate, 2009), and is the lead author of the related most read article in Environmental Politics. 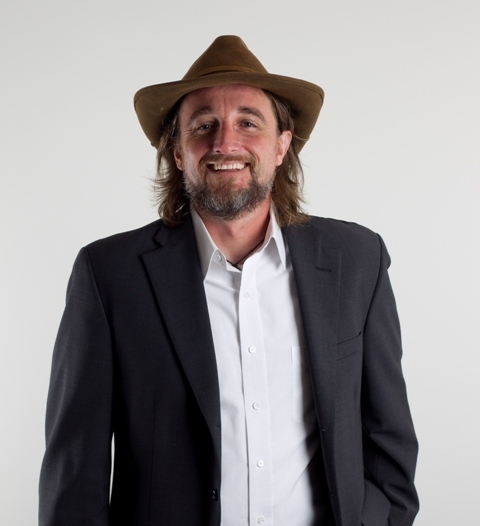 He is the Managing Executive Editor for the Journal of Environmental Studies and Sciences and the director of the Political Ecology Lab at UCF. Currently, he is researching climate attitudes and risk perception using social media as well as the impacts of climate change on food security. Dr. Stephen C. Medeiros is a Visiting Research Assistant Professor in the Department of Civil, Environmental, and Construction Engineering. 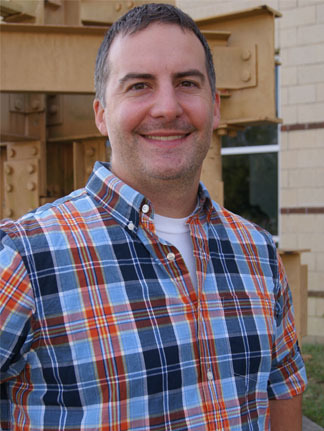 He has experience as a consulting civil engineer, working primarily on drainage infrastructure and hydrologic/hydraulic modeling studies. His dissertation, produced in the Civil Engineering program at UCF, was on the topic of incorporating remotely sensed data into coastal hydrodynamic models. Dr. Medeiros is responsible for planning, coordinating and conducting all field research for the CHAMPS Lab, continuing his research into the use of remotely sensed data in studying the Coastal Dynamics of Sea Level Rise, and mentoring graduate students. He occasionally teaches undergraduate courses related to water resources engineering and frequently guest lectures on the research applications of field observations and remotely sensed data. Dr. Patrick Murphy is a Professor and Chair of the Department of English. His research interests include representations of nature and climate change in literature and environmentally engaged writing and ecological literary criticism (ecocriticism). He is the founding editor of the journal ISLE: Interdisciplinary Studies in Literature and Environment, and has authored several books including Transversal Ecocritical Praxis (2013) and Ecocritical Explorations in Literary and Cultural Studies (2009). Dr. Murphy teaches critical theory, modern and contemporary American literature, comparative literature, ecocriticism and ecofeminism. Recently, he has focused attention on promoting ecocriticism in China. Dr. Reed F. Noss is Provost’s Distinguished Research Professor in the Department of Biology and President of the Florida Institute for Conservation Science. He received an M.S. degree in ecology from the University of Tennessee and a Ph.D. in wildlife ecology from the University of Florida. He has served as Editor-in-Chief of Conservation Biology and President of the Society for Conservation Biology. He is an Elected Fellow of the American Association for the Advancement of Science. He currently conducts research on vulnerability of species and ecosystems to sea-level rise; climate adaptation strategies; disturbance ecology; road ecology; ecosystem conservation; and changes in ecological processes and species assemblages along urban-rural-wildland gradients. He has nearly 300 publications, including seven books, and is rated as one of the 500 most highly cited authors in all fields. His latest book is Forgotten Grasslands of the South: Natural History and Conservation (Island Press, 2013). He is currently writing a book on disturbance ecology. 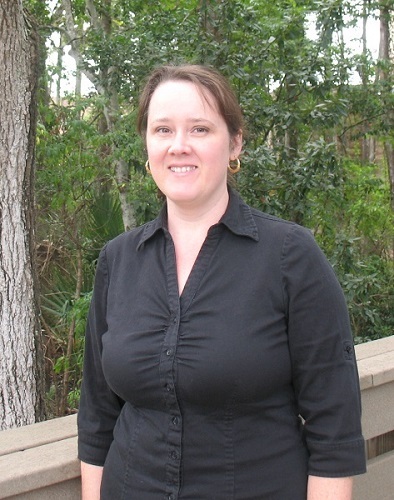 Dr. Sonia H. Stephens is a postdoctoral researcher in the Department of Civil, Environmental, and Construction Engineering and UCF Coordinator for the Florida Climate Institute. Her primary areas of interest are science communication and informal science outreach, including the design and evaluation of interactive visualizations for science communication. She has a MS in Botany and Ecology, Evolution, and Conservation Biology from the University of Hawaii and a PhD in Texts and Technology from the University of Central Florida. Dr. Stephens has received UCF College of Arts and Humanities awards for Outstanding Dissertation and Graduate Student Teaching. Her current research involves evaluating online interactive sea level rise viewers and characterizing risk visualization and decision support tools for climate change communication. Dr. Gita Sukthankar is an Associate Professor and Charles N. Millican Faculty Fellow in the Department of Electrical Engineering and Computer Science at the University of Central Florida, and an affiliate faculty member at UCF’s Institute for Simulation and Training. She received her Ph.D. from the Robotics Institute at Carnegie Mellon, an M.S. in Robotics, and an A.B. in psychology from Princeton University. Dr. Sukthankar is a recipient of an Air Force Young Investigator award, a member of the DARPA Computer Science Study Panel, and an NSF CAREER awardee. Her research is on the use of data mining, social network analysis, and agent-based modeling to understand social systems. She is currently collaborating on a project to study the propagation of climate change opinion through social media. Dr. Linda Walters is a professor in the Department of Biology. Her research focuses on human impacts in the marine environment. 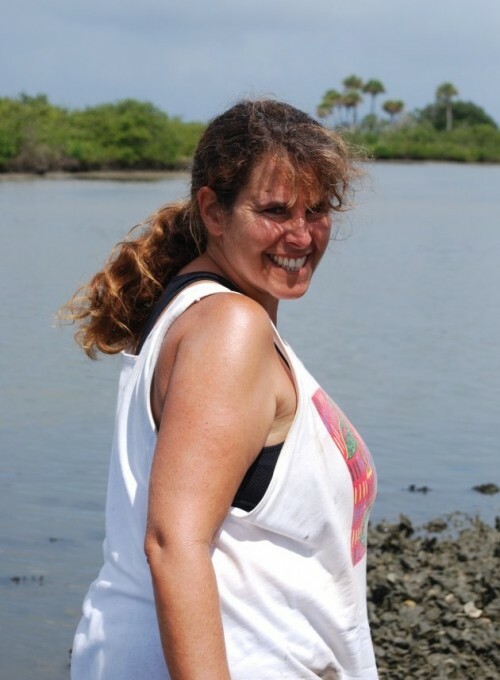 She is interested in both pure ecology and goal-based conservation issues for a wide range of marine and estuarine habitats, though her current focus is the Indian River Lagoon system and coastal oyster reefs. Her program focuses on understanding the interactions among organisms on intertidal oyster reefs, the impacts of recreational boat wakes and climate change on declines of these reefs, and community-based reef restoration. Her lab has developed an oyster restoration technology that is used throughout southeastern US for restoring oyster reefs in areas with intense recreational boating pressure. She is also interested in science outreach, and has produced or authored five children’s books to date: two on sea level rise, one on protecting biodiversity in the Indian River Lagoon, and two on invasive species. 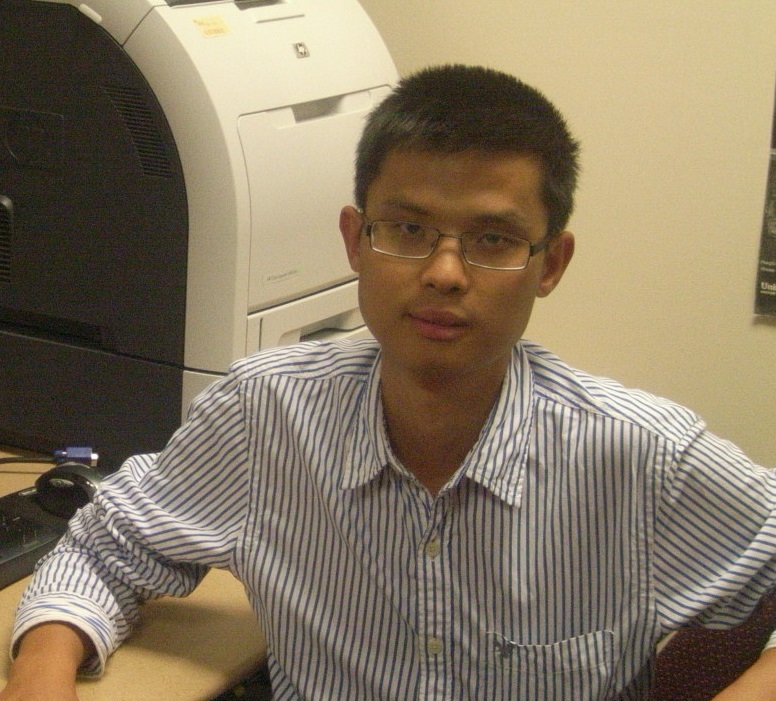 Dr. Dingbao Wang is an assistant professor in the Department of Civil, Environmental, and Construction Engineering. His research interests are broadly focused on understanding the co-evolution of coupled human-hydrologic systems under a changing environment including climate change, sea level rise and human activities. He received his B.S. in Environmental Engineering from Tongji University in 2001 and did his graduate studies at the University of Illinois at Urbana-Champaign in the Department of Civil and Environmental Engineering, receiving his M.S. in 2005 and Ph.D. in 2009. Since he joined UCF, he has been working on watershed water balance across temporal scales, and climate change and sea level rise impact on hydrology in Florida. 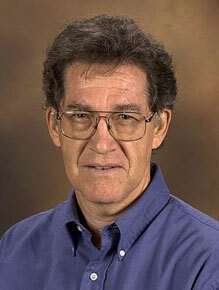 Dr. John Weishampel has been with the Department of Biology since 1995. His research interests are in remote sensing and landscape ecology. 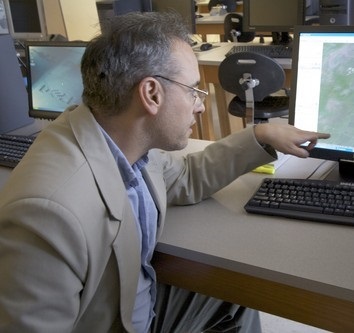 Shortly after arriving at UCF, he initiated the first geographic information system research group on campus, the Geospatial Analysis & Modeling of Ecological Systems (GAMES) Lab. During his tenure at UCF, he was a member of the NASA Earth System Science Pathfinder Vegetation Canopy Lidar satellite science team. He has received funding from the National Aeronautics and Space Administration, National Science Foundation and other organizations. Most recently he has worked with the CHAMPS Lab on ecological effects of sea level rise and the UCF Caracol Archaeology Project on using LiDAR to detect below-canopy Maya features. He has over authored or co-authored over 50 scientific papers and served as a reviewer for over 70 journals, and has served as a Charles Bullard Fellow at Harvard Forest and as a Fulbright Scholar at Simon Fraser University and the University of Freiburg.